Check out Tobi's Steal Your Heart Crop Top We've given the crop top a look-at-me print that you're bound to fall in love with. 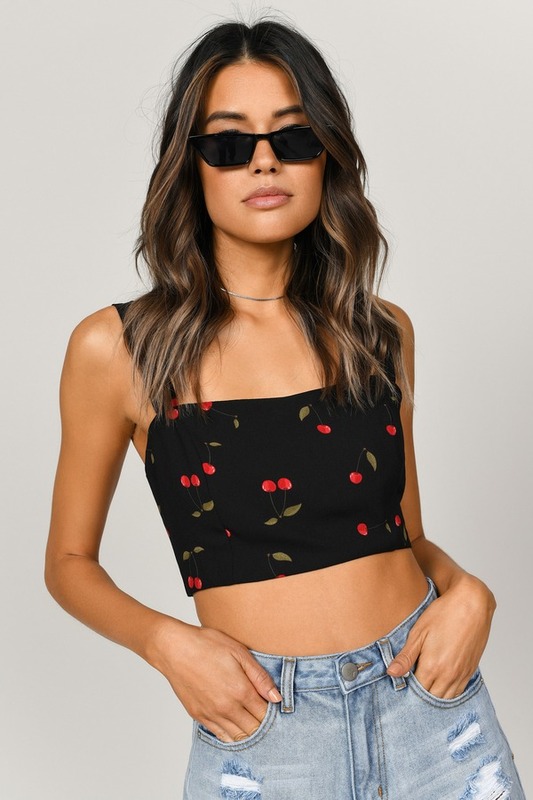 The Black Multi Steal Your Heart Crop Top is a minimal crop top with a straight neckline and wide shoulder straps that lets the cherry print do all the talkin'. Hit the farmers market in this cherry print top. We've given the crop top a look-at-me print that you're bound to fall in love with. 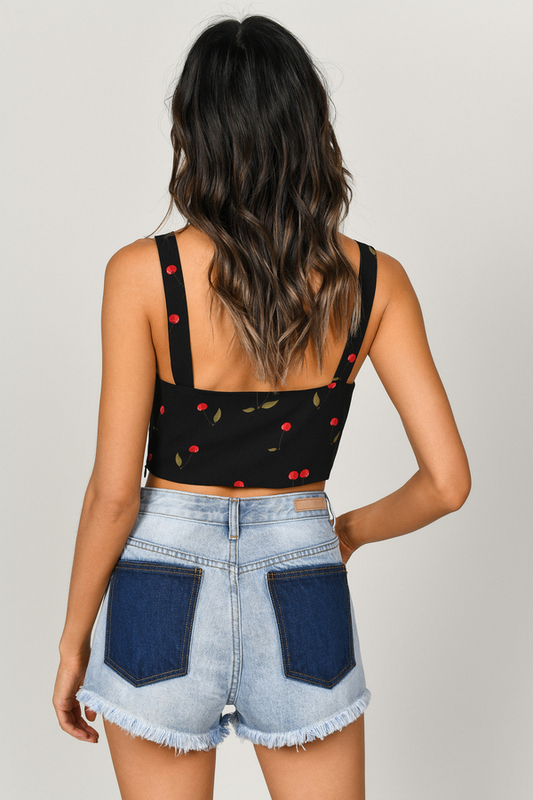 The Black Multi Steal Your Heart Crop Top is a minimal crop top with a straight neckline and wide shoulder straps that lets the cherry print do all the talkin'. Hit the farmers market in this cherry print top.